Despite the use of UTC (Coordinated Universal Time) as the world’s timescale, time zones, the regional areas with a uniform time, are still an important aspect of our daily lives. Time zones provide areas with a synchronised time that helps commerce, trade and society function, and allow all nations to enjoy noon at lunchtime. Most of us who have ever gone abroad are all aware of the differences in time zones and the need to reset our watches. Keeping track of time zones can be really tricky. Different nations not only use different times but also use different adjustments for daylight saving, which can make keeping track of time zones difficult. Furthermore, nations occasionally move time zone, normally due to economic and trade reasons, which provides even more difficulties in keeping track of time zones. 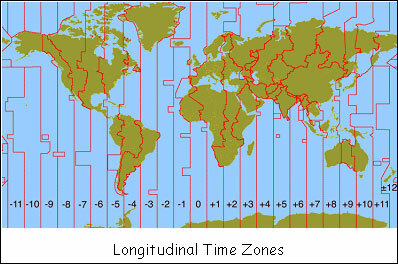 You may think that modern computers can automatically account for time zones due to the settings in the clock program; however, most computer systems rely on a database, which is continuously updated, to provide accurate time zone information. The Time Zone Database, sometimes called the Olson database after its long-time coordinator, Arthur David Olson, has recently moved home due to legal wrangling, which temporarily caused the database to cease functioning, causing untold problems for people needing accurate time zone information. Without the time zone database, time zones had to be calculated manually, for travelling, scheduling meetings and booking flights. The Internet’s address system, ICANN (Internet Corporation for Assigned Names and Numbers) has taken over the database to provide stability, due to the reliance on the database by computer operating systems and other technologies; the database is used by a range of computer operating systems including Apple Inc’s Mac OS X, Oracle Corp, Unix and Linux, but not Microsoft Corp’s Windows. The Time Zone Database provides a simple method of setting the time on a computer, enabling cities to be selected, with the database providing the right time. The database has all the necessary information, such as daylight saving times and the latest time zone movements, to provide accuracy and a reliable source of information. Or course, a synchronised computer networks using NTP doesn’t require the Time Zone Database. Using the standard international timescale, UTC, NTP servers maintain the exact same time, no matter where the computer network is in the world, with the time zone information calculated as a difference to UTC. The launch date for the first Galileo satellites, the European version of the Global Positioning System (GPS), has been scheduled for mid October, say the European Space Agency (ESA). Two Galileo in-orbit validation (IOV) satellites will be launched using a modified Russian Soyus rocket this October, marking a milestone in the Galileo project’s development. Originally scheduled for August, the delayed October launch will lift off from ESA’s spaceport in French Guiana, South America, using the latest version of the Soyuz rocket—the world’s most reliable and most used rocket in history(Soyus was the rocket that propelled both Sputnik—the first orbital satellite—and Yuri Gargarin—the first man in orbit—into space). Galileo, a joint European initiative, is set to rival the American controlled GPS, which is controlled by the United States military. With so many technologies reliant on satellite navigation and timing signals, Europe needs its own system in case the USA decides to switch off their civilian signal during times of emergency (war and terrorist attacks such as 9/11) leaving many technologies without the crucial GPS signal. 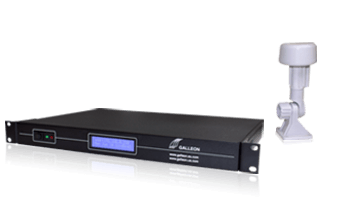 Currently GPS not only controls the words transportation syste3ms with shipping, airliners and motorists increasingly becoming reliant on it, but GPS also provides timing signals to technologies such as NTP servers, ensuring accurate and precise time. And the Galileo system will be good for current GPS users too, as it will be interoperable and, therefore, will increase accuracy of the 30-year-old GPS network, which is in need of upgrade. Currently, a prototype Galileo satellite, GIOVE-B, is in orbit and has been functioning perfectly for the last three years. Onboard the satellite, as with all global navigation satellite system (GNSS) including GPS, is an atomic clock, which is used to transmit a timing signal that Earth-based navigation systems can use to triangulate accurate positioning (by using multiple satellite signals). The atomic clock aboard GIOVE-B is currently the most accurate atomic clock in orbit, and with similar technology intended for all Galileo satellite, this is the reason why the European system will be more accurate than GPS. These atomic clock systems are also used by NTP servers, to receive an accurate and precise form of time, which many technologies are dependent on to ensure synchronicity and accuracy, including most of the world’s computer networks.